Joe's Fish Co. prepares Boardwalk fare with a Morey's flare! Enjoy a casual, contemporary family meal overlooking the lights and action of Surfside Pier and The Boardwalk. 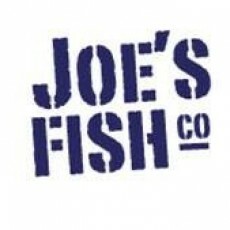 Joe's menu emphasizes the freshest local and regional seafood dishes, brick oven pizzas, wraps, salads and more. Try out the local favorites; broiled Cape May Scallops with a light lime cream sauce or the Coconut Shrimp with an orange curry mustard sauce. Vegetarian? Try the delicious Grilled Vegetable Burger served on a brioche bun with baby tomatoes and roaster peppers, cilantro cream sauce and your choice of cheese. All freshly prepared by our award winning chef, Wally Jurusz. Pair your meal with a wide selection of local craft beer, wine or indulge in one of Joe's signature margaritas. Don't miss Joe's all NEW Carona-Ritas while listening to the sounds of live entertainment and the hustle of the Boardwalk fun!